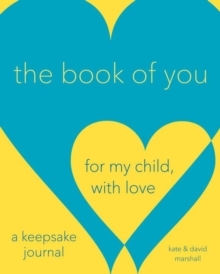 From the authors of What I Love About You, a personalized way to say "I love you" to your child When you've watched someone grow up--from babbling babyhood, through ups and downs in school years, to the first stages of independence--how can you convey how proud you are of them? 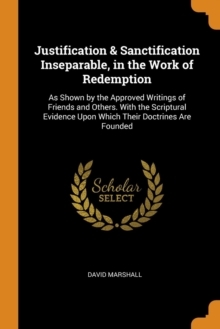 How can you show the child you helped raise what a uniquely wonderful person they have become? The Book of You celebrates your teen or adult child on a milestone birthday or graduation, or as they embark on marriage or the joys of parenthood. 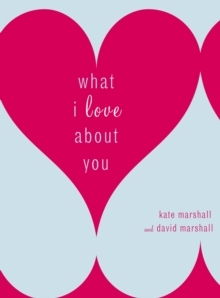 In this gift journal, bestselling husband-wife team David and Kate Marshall--authors of The Book of Us and What I Love About You--offer creative ways to capture your love and gratitude. With writing prompts, checklists, and space for treasured photos, you'll compile a collection of fond memories and hopes for the future that will be a cherished keepsake for years to come.